Well, it’s almost Gencon and my Facebook feed is loaded with airport selfies and I’ve glued to my phone looking for surprise reveals (Clank! in Space? OMG YES). After several glances through the Gencon Preview list on BBG, I’ve listed a couple of releases (or demos) that have me particularly excited. 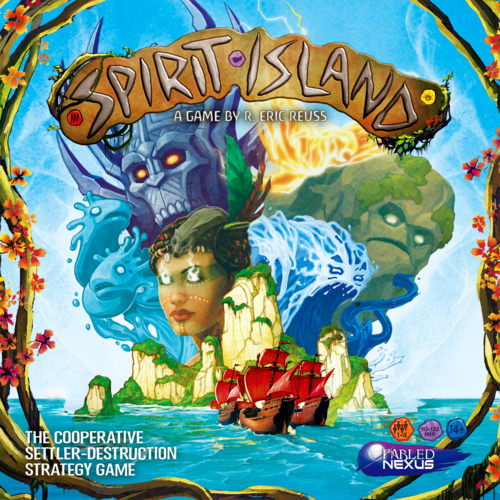 Spirit Island is a cooperative game that flips the tired trope of the 4x (Explore, Expand, Exploit, Exterminate) game on its head by focusing on defending your island home from colonizers. Players take the role of different spirits each with its own unique elemental powers. Every turn, players simultaneously choose which of their power cards to play. Some powers work quickly, before the Invaders spread, while other magics are slower and reward advance planning and strategy. Look forward to a first look in the near future from me. You are a cloud. You need to grow in size, expand, and make other clouds and water the land. Other clouds have the same idea. I have no idea what to think about Petrichor except that I love to give new themes a chance. 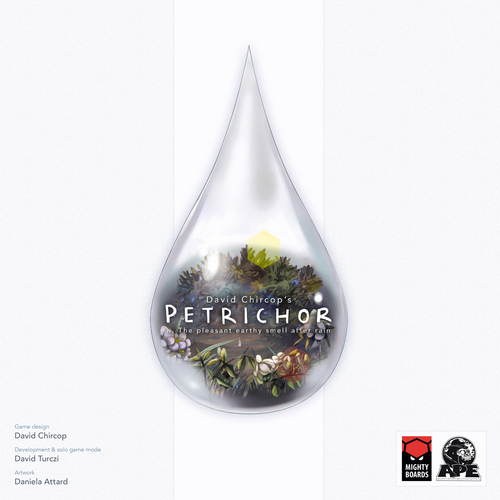 Petrichor is described as “highly interactive” and has options for solo play. You manipulate clouds and work to “control” crops to score more points when they are harvested. You also control an influence track for end game bonuses. 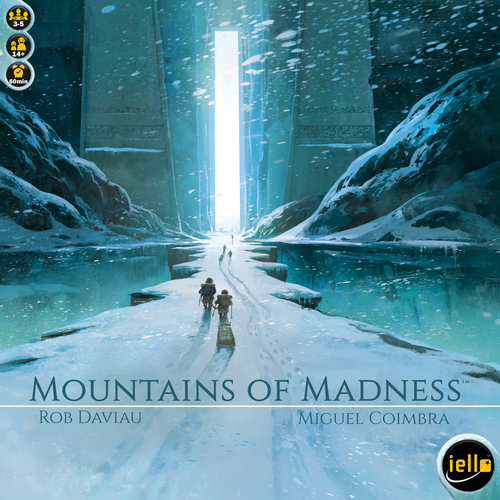 There is a very simple equation for this game: Party Game + Iello + Rob Daviau + HP Lovecraft = A Game I Must Try! Check out Bebo’s video below for a rules overview. 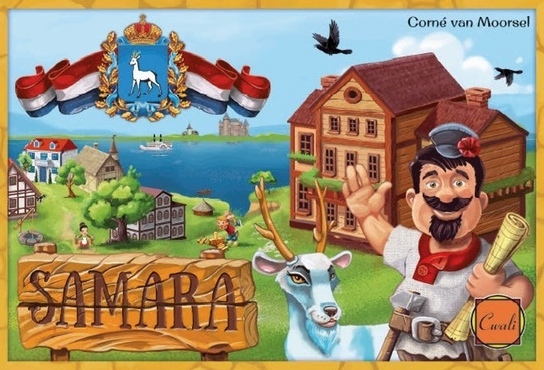 Blue Orange Games has been on fire at my library (Kingdomino, New York: 1901, Dr. Eureka, Vikings on Board, Gobblet Gobblers) and the circulating collection is all the more amazing for it! 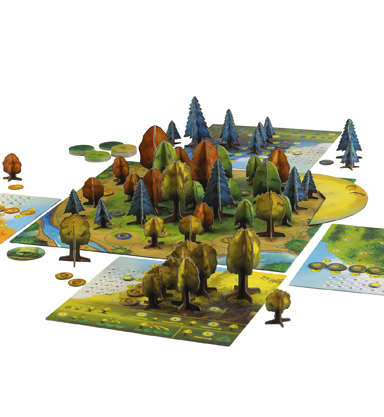 Photosynthesis is an abstract strategy game where players earn action points from their trees (through Photosynthesis) and in turn grow trees. Trees must grow from seed to adult and then … I think … die in order to score points. This game seems to be potentially REALLY MEAN since as you grow larger, you can successfully block the precious sunlight from opponent’s trees. As with Petrichor, I’m excited about banal themes and interactive gameplay. To outshine your competition, you need to expand your personal library by sending your trusty assistants out into the village to find the most impressive tomes. Sources for the finest books are scarce, so you need to beat your opponents to them when they pop up. You have only a week before the Mayor’s Official Inspector comes to judge your library, so be sure your assistants have all your books shelved! The Inspector is a tough cookie and will use her Official Checklist to grade your library on several criteria including shelf stability, alphabetical order, and variety — and don’t think she’ll turn a blind eye to books the Council has banned! 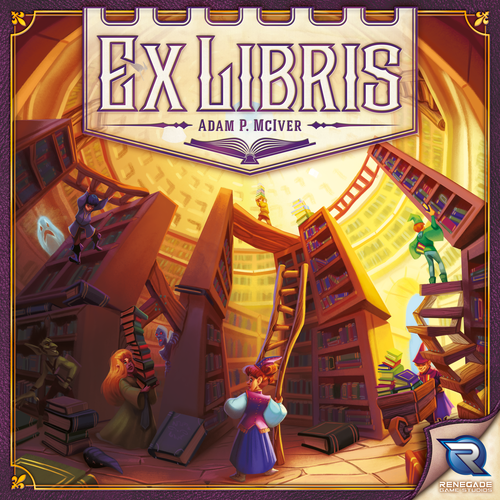 You need shrewd planning and cunning tactics (and perhaps a little magic) to surpass your opponents and become Grand Librarian! Improving skills to build with wood (saw tool), stone (trowel tool) and glass (blowing tool). Building houses or special projects. Getting a new worker or exercising to become a stronger worker. The spaces on the game board determine how many workers (1-4 on the left board axis) are occupied how many months (1-9 on the bottom board axis). Players plan to let their workers spend time effectively, choosing when to invest and when to build for prestige. The prestige points determine who is the best foreman of Samara. 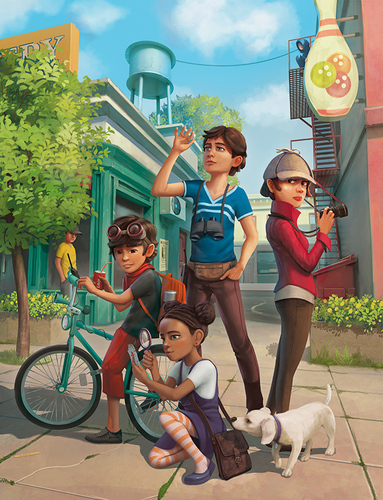 In Spy Club, players work together as young detectives to solve neighborhood mysteries. 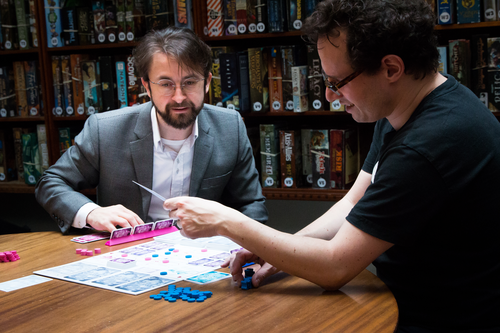 It includes a new campaign format for playing a series of games connected together to tell a larger story. Throughout the 5 games in a campaign, you’ll unlock new modules with additional rules and story elements. With over 40 new modules and 150 cards in the campaign deck, you can reset everything and play multiple campaigns — with a different story and gameplay experience emerging each time. In the base game, each player has double-sided clue cards in front of them. On your turn, you use actions to flip, draw, and trade clue cards, gain ideas, and confirm clue cards as evidence. Confirm 5 clues of the same type to solve part of the case. As you discover more and more of the solution, a story starts to emerge: your Neighbor stole something from the ice cream shop, but what? And why? To crack the case, you must find the solution to all 5 parts before the suspect escapes or you run out of clues.